In October 2017, we talked about Ikea’s introduction of pet furniture. And we looked at its clever ad campaign. As part of our Ikea discussion, we showed a YouTube video on the making of its ads. 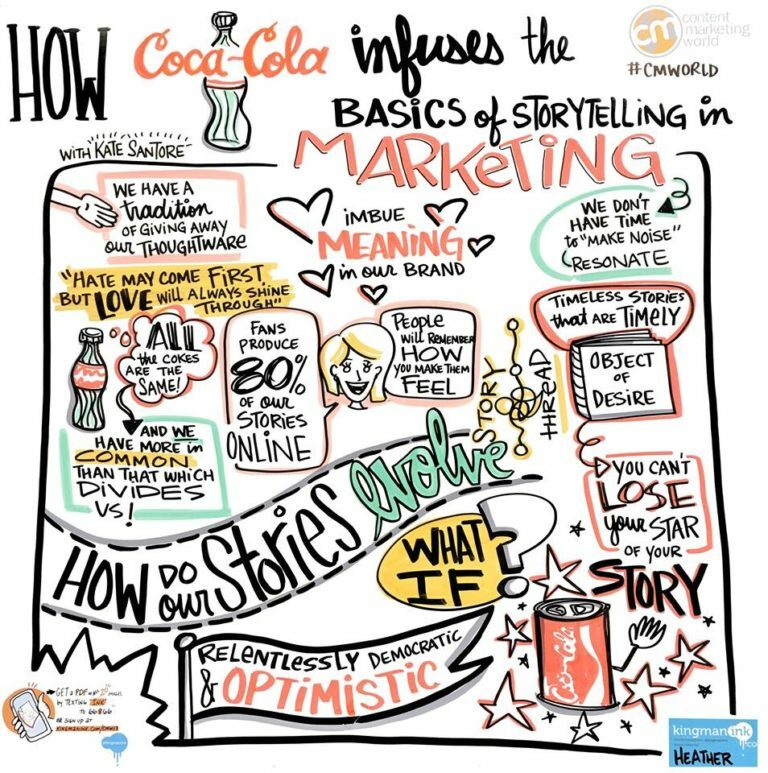 Today, we consider how Coca-Cola creates stories to communicate with consumers. First, view the Ikea video. For years, Coca-Cola has regularly appeared on lists of the world’s most valuable brands. And it dominates PepsiCo among soft drink brands. In large part, two reasons account for this. One, Coca-Cola’s massive distribution channels. Coca-Cola’s especially strong in restaurants, fast-food outlets, and other such firms. Two, Coca-Cola spends a lot on advertising; and its advertising is effective. The following chart from Statista, based on Advertising Age and Kantar data, shows Coca-Cola’s ad spending just in the U.S. And it includes 2009-2016. Besides spending so much on ads, Coca-Cola prides itself on it ad prowess. And it has the revenues and awards to bear this out. Here’s an interesting story-telling chart from Content Marketing Institute. Pingback: Coca-Cola Will Enter Japanese Low-Alcohol Market -- A Good Idea?